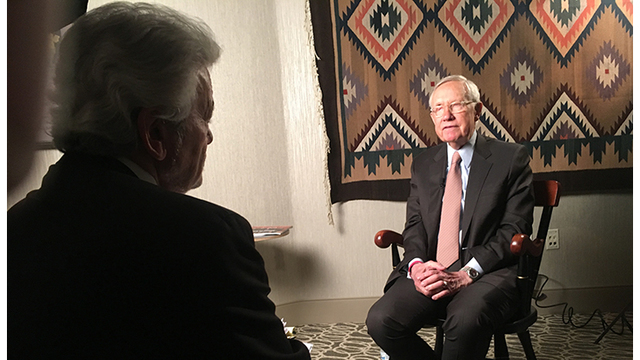 LAS VEGAS – Those secret UFO files at the Pentagon are still secret, but not for a lack of trying. Thousands of researchers have filed requests via the Freedom of Information Act, hoping to force the military to unleash documents or videos generated during the secret study. The main contractor for the Pentagon was a Las Vegas company. So far, the Pentagon hasn’t complied with any of the requests for more information. But now, the I-Team has obtained key documents related to the UFO inquiry. 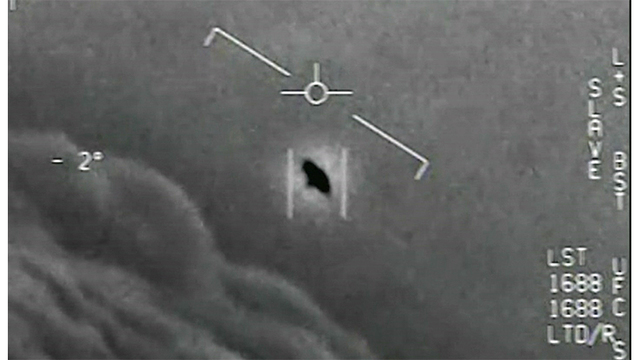 The Pentagon’s release last December of a 2004 encounter between pilots from the USS Nimitz and a mystery machine dubbed the Tic Tac UFO generated huge headlines and demands for more releases. Two more followed. The Gimbal video from 2015 and another nicknamed Go Fast. 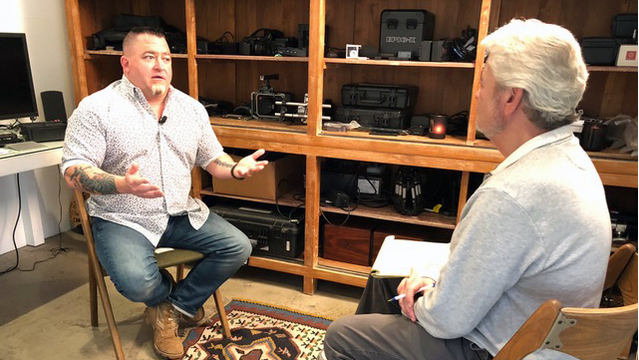 As many as two dozen more videos are still in the Pentagon vaults, according to the man who ran the military’s secret UFO study for years. “AATIP (Advanced Aviation Threat Identification Program) did find a lot of stuff. This wasn’t just a one-off looking at the Nimitz incident. There were many incidents we looked at, and we looked at them on a continuing basis,” said Luis Elizondo. During his time running the AATIP program, Elizondo set into motion the release of these and other videos. He doesn’t know if the spigot has been turned off now that he is longer there. Since October, he’s been working with To the Stars Academy to help change the perception of the UFO issue, particularly in Washington. And without revealing too much, Elizondo hints that progress is being made. “What we can talk about now is, should this scientific study continue, that’s already been started? That’s huge, volumes and volumes of stuff, we now have the basis for doing it,” said Sen. Harry Reid, former Senate Majority Leader. Reid instigated the Pentagon study back in 2007 but kept it secret. Since his role was revealed last year, he’s had calls from many others in Congress and believes there have likely been classified briefings involving military eyewitnesses. Reid fought hard to keep AATIP going, as revealed in a 2009 letter obtained by the I-Team. He also wants the study to be made public. The Pentagon has yet to release any files, but some information is dribbling out. “You’ve got these advanced aerospace vehicles flying around, that we don’t know where they come from, what the intent is, possibly off-world even,” said Dr. Hal Puthoff, physicist. In his presentation, Puthoff listed the subjects explored in dozens of scientific studies initiated by BAASS: Star Trek worthy topics — warp drive, invisibility, metamaterials but the titles and authors have not been released — until now. The list made public for the first time includes subjects such as worm holes, antigravity and how to track hypersonic vehicles, and more. Puthoff said his group has studied unknown materials recovered from crash sites. Make of that what you will. Elizondo says TTSA (To the Stars Academy) is actively looking for unusual materials so they can be analyzed. “You don’t know when you pick up a piece or have delivered a piece of metallic slag, could it be from a vehicle we’ve never seen before or could it be part of an alternator from a 1984 Cadillac? You don’t know. We have to be careful,” Elizonda said. He doesn’t know if more UFO videos will be released but says there is big news coming about the ones already made public. The Gimbal video, for instance. He points out that the pilots didn’t encounter just one UFO.